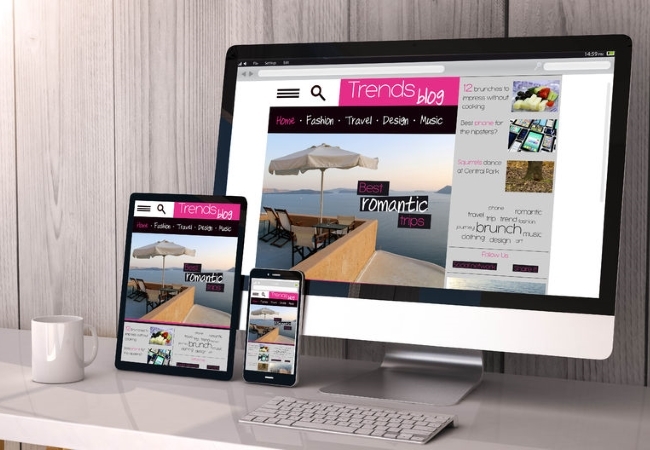 Your website is one of your most important marketing tools. Whether your clients find you via Google, Social Media or Wedding Fairs at some point they will visit your website. It’s got to attract the right customers – and get them to make a booking. First impressions count – a lot. Your website needs to reflect your brand and your brand values. 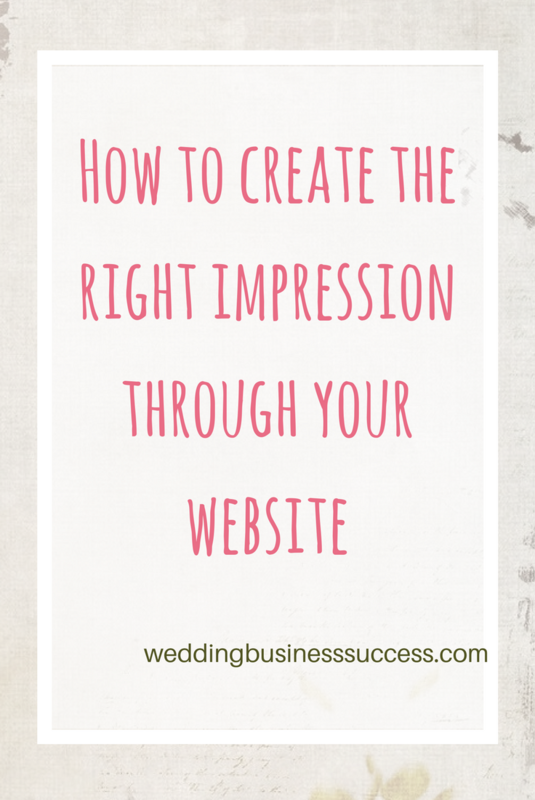 People will make instant judgements based on what they see when they first land on your site. You don’t want a corporate looking website if you’re aiming to appeal to couples who want a wedding that’s quirky and original. You don’t want a quirky site if you tend to work on very traditional weddings. Remember too that brides generally have plenty of time to browse, research and decide before buying. If they don’t like what they see on your site, then they’ll quickly move on to your competitors. Firstly you need a good design for your website. This doesn’t need to be complicated or clever, but it does need to be clean and coordinated with careful use of colours and fonts. And secondly you need some great photos. And I mean great photos. The sort of shots that make your ideal customer weak with desire and reaching for the phone to make an appointment. It goes without saying (or at least it should) that your site needs to work beautifully on smartphones, tablets and desktop computers. Images will only take you so far. You also need well written text on your site. And words can make a big difference. Let’s start by making sure that it’s absolutely clear what you offer. You’d think this would be obvious, but it’s a really common mistake. I’ve seen photographers’ sites with lots of gorgeous images but no real indication of their specialism. Silk bouquet makers who don’t mention that they are silk rather than fresh flowers. And stationers who start with something like “Welcome to XYZ designs, I am a qualified graphic designer based in Manchester blah blah. “. In the time it takes to get to the important bit, the reader has either fallen asleep or more likely gone elsewhere. You need to focus not so much on who you are and what you do but what you do for your customers. Think “What’s in it for them?” and tell them straight up. So if you create bespoke vintage wedding stationery have this nice and large on the front of your site so people know they’ve come to the right place. Use services and FAQs pages to ensure you cover off all the important details: locations, how to book, timescales, possibly prices (more on that here). Show that you understand the questions your potential customers ask. Couples are looking for suppliers to work with to create a magical wedding day. So show your personality through your images and choice of words. You want them to feel they almost know you before they pick up the phone or send that email. Finally your website should include items that I call confidence builders. So things like testimonials, reviews, guarantees. If you have won or been nominated for an award you’ll probably have a nice little badge you can display – put it on there. And if you sell online, details about secure payments, returns and so on are essential. Show that you are a professional they can trust to deliver for their wedding day.